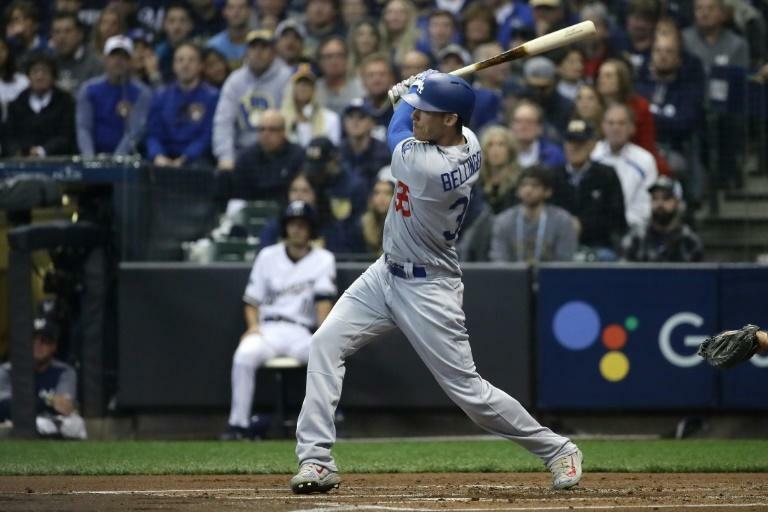 Yasiel Puig and Cody Bellinger blasted home runs and the Los Angeles Dodgers advanced to their second consecutive World Series by defeating the Milwaukee Brewers 5-1 on Saturday. The Dodgers, seeking their first Major League Baseball crown since 1988, will begin the 114th World Series on Tuesday at Boston in the opener of the best-of-seven championship final. Bellinger smashed a two-run homer in the second inning to give the Dodgers the lead for good and Puig belted a three-run homer in the sixth as visiting Los Angeles won the National League Championship Series four games to three. "Every single person in this room has their fingerprints on this season," Dodgers manager Dave Roberts told his players in the champagne spray-filled locker room. "We haven't accomplished our goal yet. Four more wins to go." The Dodgers, who lost to Houston in last year's World Series, make their 20th appearance in the final. They last won the title 30 years ago, defeating Oakland in five games. 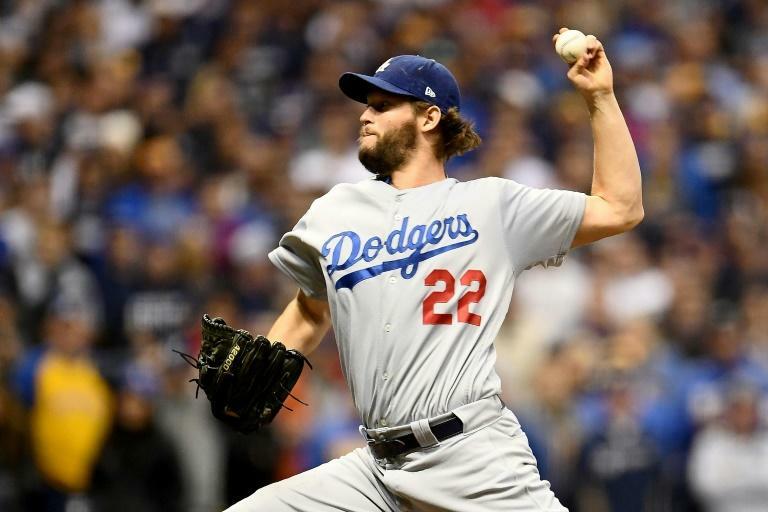 "It doesn't matter how you get there," Kershaw said. "To get to go back from last year, it's unbelievable. It's a testament to these guys. "We'll celebrate tonight but we've still got more to go. We don't want to lose again." The Red Sox will try to conclude a team-record 108-win season with a championship and capture their fourth title in 15 seasons. Boston's most recent crowns came in 2013, 2007 and 2004, when the Red Sox took their first title since 1918. The World Series will feature two of the three oldest ballparks in the major leagues, both classic venues. Boston's Fenway Park is the oldest major league stage, having opened in 1912, half a century before Dodger Stadium. The second-oldest venue, Chicago's Wrigley Field, hosted the World Series in 2016 when the Cubs won their first title since 1908. "That's going to be a pretty special series against the Sox," said Bellinger, who was named the Most Valuable Player of the series. "It's going to be pretty cool." It will also be a baseball version of the Boston-LA rivalry made famous in the NBA by the Celtics and Lakers, notably in the 1980s when Larry Bird and Magic Johnson were superstars. It was a heartbreaking finish for the Brewers, who fell one game shy of making their second trip to the final. Milwaukee lost the 1982 World Series to the St. Louis Cardinals in seven games. Milwaukee's Christian Yelich smacked a first-inning line drive solo homer to centerfield off right-handed Dodgers rookie starting pitcher Walker Buehler to open the scoring. "I just tried to put a good swing on it," Bellinger said. "And luckily it went out of there." Milwaukee's Lorenzo Cain hit a two-out double in the fifth and Yelich followed with a long fly ball to left field but Dodgers' outfielder Chris Taylor raced for the catch to deny the Brewers the tying run and end the inning. "I knew it was in the gap," Taylor said. "I was just trying to run hard to get to the spot. I had to change my run a little bit as it tailed off. I'm just glad I caught it." Buehler lasted 4 2/3 innings, striking out seven Brewers batters. Los Angeles struck again in the sixth with singles by Max Muncy and Justin Turner and a fielder's choice from Bellinger setting up Puig's three-run homer, boosting the Dodgers' lead to 5-1. 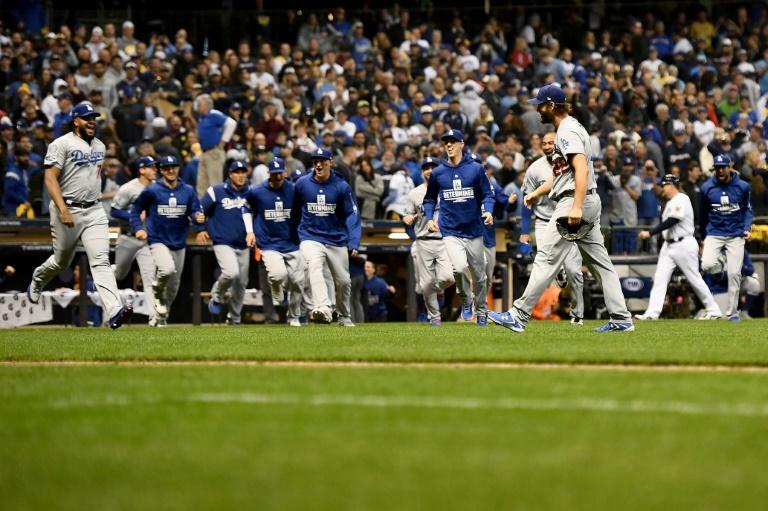 From there, it was a host of Dodgers relief pitchers trying to silence Brewers hitters, closer Kenley Jansen entering with two outs in the seventh inning and striking out three in getting Los Angeles into the ninth. The Dodgers nearly padded their lead in the ninth, loading the bases on a Puig single, a Taylor double and an intentional walk to Matt Kemp before Brandon Woodruff struck out Enrique Hernandez and Muncy to end the threat.